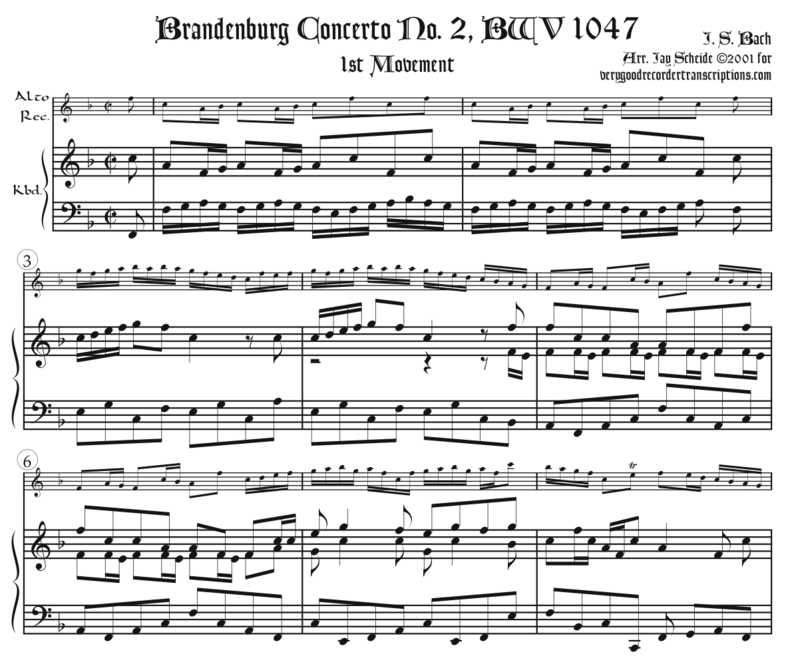 A version of this signature piece for alto recorder, accompanied by solo trumpet, oboe, violin and continuo in the original F major in a reduction here for recorder and keyboard. Three movements, (Unmarked), Andante, and Allegro assai. Even though no transcribing was necessary for the recorder part it is provided here.